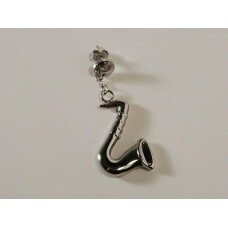 Earrings with big sax, steel saxophone. The saxophone is three-dimensional and hangs from a disk, al.. Tie with sax or saxophone on blue background. 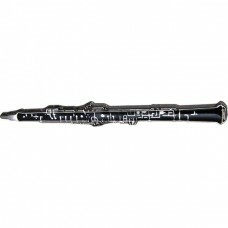 The sax has the right shades of gold, brown and white,..
Pin brooch with oboe. It is enamelled in black with a gold-colored frame..